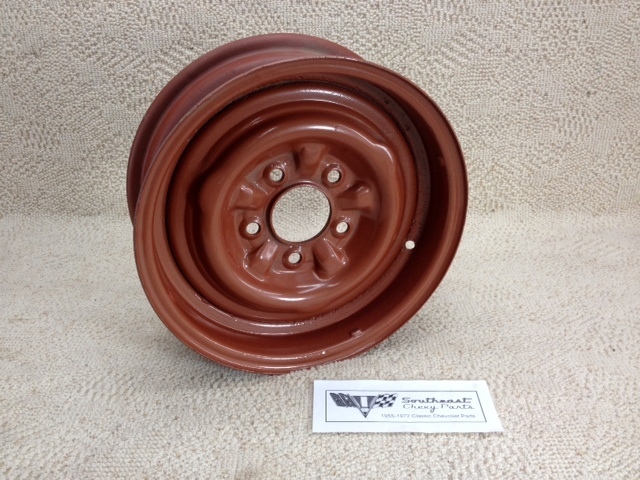 This is an original 1957 Chevrolet passenger car wheel. The wheel contains the four "nubs" in order to attach the original hubcap. 1957 had a welded two piece wheel to reduce leaking and production costs. Need more help identifying your wheel? Check out this Tech Check Article. For your convenience, we can media blast and prime the wheels at an additional charge.